Ryann Adams is the daughter of Steve and Peggy Adams. 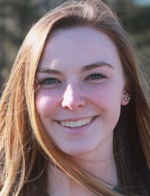 Ryann is currently in her junior year of High School, and has been playing softball for 12 years. In addition to softball, Ryann is also a member of the Hornet Volleyball team and plays both travel volleyball and softball. In her free time, Ryann enjoys spending time with her family and friends.